Chickens. They are the reason I first started researching IP cameras. We got our chicks about a year and a half ago. During that first winter, we thought it would be nice to check in on them without going out into the cold. Plus, we could stream their silly antics onto the web for everyone to see. Alas, after looking into it I discovered that finding a camera that will work in our conditions (we frequently spend time well below freezing) was more effort than I wanted to spend. But the topic of the cameras has come up again, so I thought it would be useful to share my research here. IP cameras have sort of become a thing this year. They are popular not only in the home, but also many businesses are upgrading from old CCTV types of security systems to the higher quality video they provide. Depending on your needs, you’ll likely find a decent choice on one of these lists. PC Magazine’s list starts off with a handy chart of the 10 models reviewed. Each has a link to a full review on the website at the bottom of the chart. If you scroll down, you’ll see some helpful descriptions about the features, how to place the cameras, and the different ways they connect to the internet. The ratings provided are based on their own independent reviews of each camera so you know they’re accurate and not just trying to sell you something. In this countdown-style post, they share the top 10 cameras of 2016. Each camera gets its own short blurb with an image and a link to purchase on Amazon. Though the cameras are rated, there isn’t much insight into why each received the rating it did. Still, the list is a nice way of seeing different options without having to do all the searching yourself. This one is another countdown-style list of the 10 ten for 2016. Interestingly, there isn’t much overlap with the previous list, which makes things more interesting. Each camera offers a short review which includes some of their most notable features, plus a few reasons why those features are important. Again there isn’t description of how the ranking was determined. This list starts right off with a table of the top 10. The ranking is based on 331,392 reviews scanned by the service (so this number may have changed by the time you read this). It frequently updates the reviews and the ranking so if a new camera comes out or one on the list begins to have issues (from a defect perhaps) then the list will automatically update. If you look down below the list, you’ll find more information on IP cameras including tips for shoppers and the different types of IP cameras available. This isn’t a top 10 list like many others. It is a pick of the best home security camera (IP based), plus a mention for a “runner up”. The remainder of the page offers useful information on how to buy an IP camera, the features and what is important about those features. Finally, they have a list of all the cameras they’ve reviewed at the bottom of the page. You can see each individual review by clicking on the name of the camera. This site lists the top ten IP cameras based on Amazon reviews. Well, it says “ranked based on its user rating and price to value ratio”. I’m not sure, though, how the “ratio” is determined. The site owner also provides detailed reviews of each camera. His bio claims he is currently employed at a security company so he knows a bit about the hardware he’s reviewing. If it’s true, then his detailed reviews are worth a look. Tom’s guide is associated with Tom’s Hardware, a reliable source of technology information for two decades. 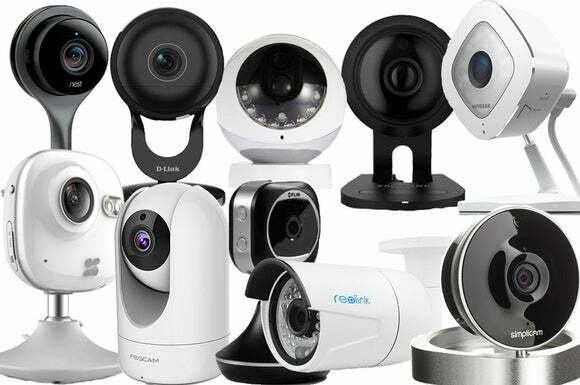 They have reviews of IP cameras in several categories include “Best Security Camera Overall”, “Best Smart Home Integration” and “Best local storage camera”. These labels can help you narrow down what you’re looking for in addition to seeing a review score on a 10 out of 10 scale. They describe in detail the measures they use for evaluation and ratings, which can give you more confidence in the results. Not to be outdone by basic top 10 lists, this website reviews 35 of the best outdoor cameras. They begin by sharing some advice on what you should consider when buying a camera, then go to list a brief review of each camera. They are not ranked though, and merely listed “in no particular order”. This website, T3.com, isn’t content with a top 10 either. But it merely offers the top 11 instead. 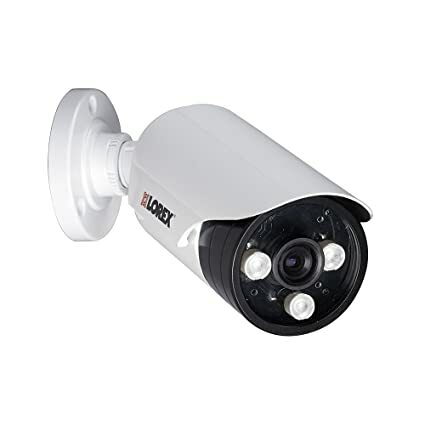 Their reviews focus on IP cameras to use in your home or for security purposes. It also doesn’t rank them in any particular order. Instead, it offers clear pros and cons for each camera with a short description of its capabilities.